To provide a delivery system, for both private and corporate donors, to adopt and sponsor hospital rooms and care units for children. These facilities will have a differentiating superiority because they will provide a вЂњhome away from homeвЂќ atmosphere, for seriously ill children and their families. 11th Annual Aerotek ADOPT A ROOM Golf event - September 18, 2017 @ Dellwood Hills Country Club ! 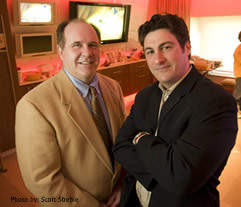 We are having our 11th Annual Golf Event to support the design and construction of world class hospital rooms at the University of Minnesota Children's Hospital. 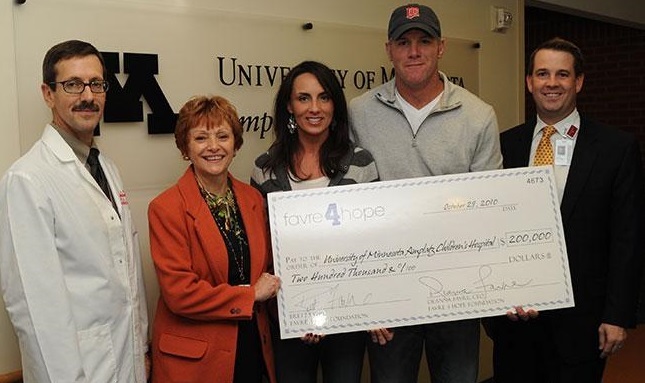 Football legend and former Minnesota Vikings quarterback Brett Favre and his wife, Deanna, made a $200,000 gift to the Adopt A Room program through their Favre 4 Hope Foundation. Oncology Nursing Forum. "Positive Attitude in Cancer: PatientвЂ™s Perspectives." May/June 2003, Volume 30, No. 3.